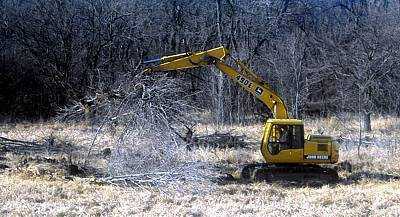 A: This always varies depending on what you may need done, the resources that are already available on your property and how much other material we may need to haul in, the equipment needed for the job and the amount of time involved. A: Yes. We prefer, when possible, to come out and see the property where the project will take place so we can give you a precise and accurate estimate, as there are many factors we take into consideration when providing estimates, which we gladly do for FREE. Q: Is S&T Trucking & Excavating fully insured? A: Yes, S&T Trucking & Excavating is fully insured and is happy to provide the necessary documentation upon request. Q: How far will you go? A: Located in Belleville, WI, we can easily service much of south central Wisconsin, including Madison, Janesville, Platteville, Monroe & Portage. Page Summary: S & T Trucking & Excavation offers gravel for driveway, excavation service, grading contractors, equipment hire, grading yard, excavator hire, contractor equipment, truck and equipment in Belleville, Janesville, Madison, Monroe, New Glarus, Verona, Oregon WI, Fitchburg, Monona, Edgerton, Mt. Horeb and surrounding Dane County Wisconsin (WI) communities.